Walking into the Telethon Type 1 Diabetes Family Centre on Thursday night, I was expecting to see a bunch of 20 to 30 year olds gathered for the Community Forum. Not only did I see young adults, but there were also teenagers, parents, right through to older adults (who I tend to naturally gravitate towards as a pretty mature minded person). 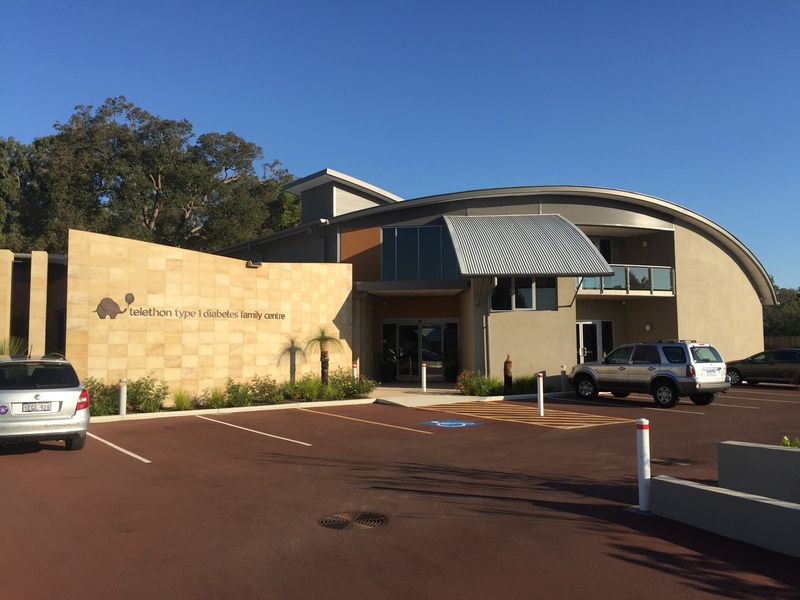 The Family Centre is a place to connect and support people living with type 1 diabetes in Western Australia. As the name suggests, this is a place not only for the person with type 1 diabetes, but also their family and support people. The Centre was built on land donated by the State Government, with funding from both Lotterywest and children’s charity Telethon. I’ve been following the Family Centre’s journey through Facebook and their monthly ‘blue balloon’ newsletter, with nothing but praise for their person centred approach to delivering clinical and social services to children and teens living with type 1 diabetes in Western Australia. This, of course, is largely due to the centre being driven by people with a strong connection to type 1. The incredible show of community support that this place has gained in such a short space of time is a testament to them. I first met CEO Bec Johnson, who lives with type 1 diabetes herself, two years ago when the centre was still fairly new and catering primarily to children and teens. You can check out my tour of the Centre here. One of the standout sessions at last year’s ADS-ADEA conference was hearing Bec speak about how she utilised the online networks that had once been her lifeline in building a service that the community wanted. 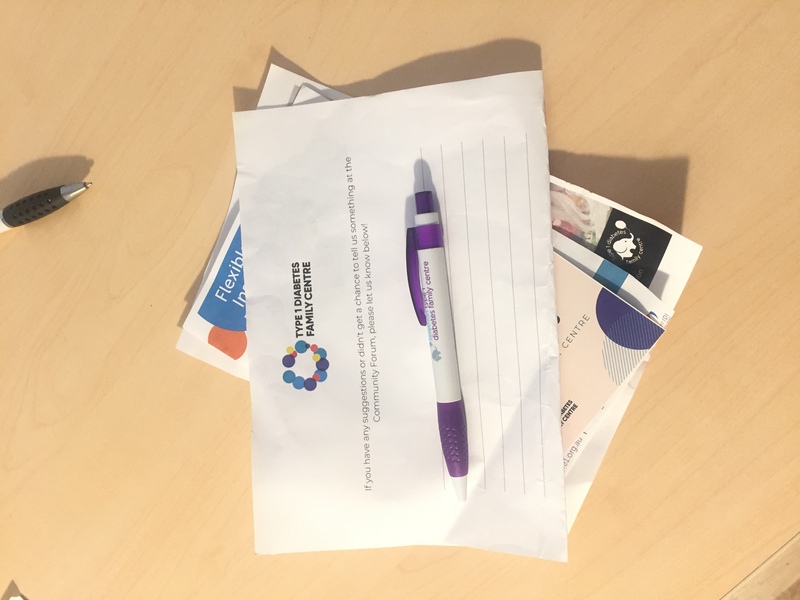 The Family Centre are now in the early stages of expanding their service to adults living with type 1 diabetes in Western Australia, with the purpose of Thursday’s Community Forum being to gather input into what we would like to see in an adult service. (If you have any suggestions, please do feel free to drop them into the comments). I spend far too much time in the company of like-minded people. When I think about type 1 diabetes, I am definitely guilty of assuming that everyone is like me. Hearing the diversity of experiences being shared, I couldn’t help but be reminded that not everyone has had the largely positive experience that I have. One of the challenges of this forum was translating people’s personal experiences and frustrations into their ideal support service. Sitting in a room full of such diverse ages, I also couldn’t help but be reminded that type 1 diabetes will be with me for the rest of my life. More choice for people with diabetes is always a good thing. I think it’s fantastic that adults living with type 1 in Western Australia now have another service and social space to support them in managing their diabetes. If you search for ‘Type 1 Family Centre Adults Community’ on Facebook, you’ll find a newly launched closed Facebook group for Western Australians to seek peer support. I’m sure there’ll be more exciting developments announced over the coming months. I was definitely feeling tribe vibes. (and I take absolutely no credit for that term, or the title of this post). It’s hard to remember a life that didn’t revolve around constant pricks of the finger. Days where I could eat whatever I wanted without thinking about the carb counts and insulin injections are all but a distant memory. Simply being able to do whatever I wanted without thinking about the impact on my blood sugar. Or not feeling so “different” or isolated from the people around me because of the invisible and complex nature of my condition. 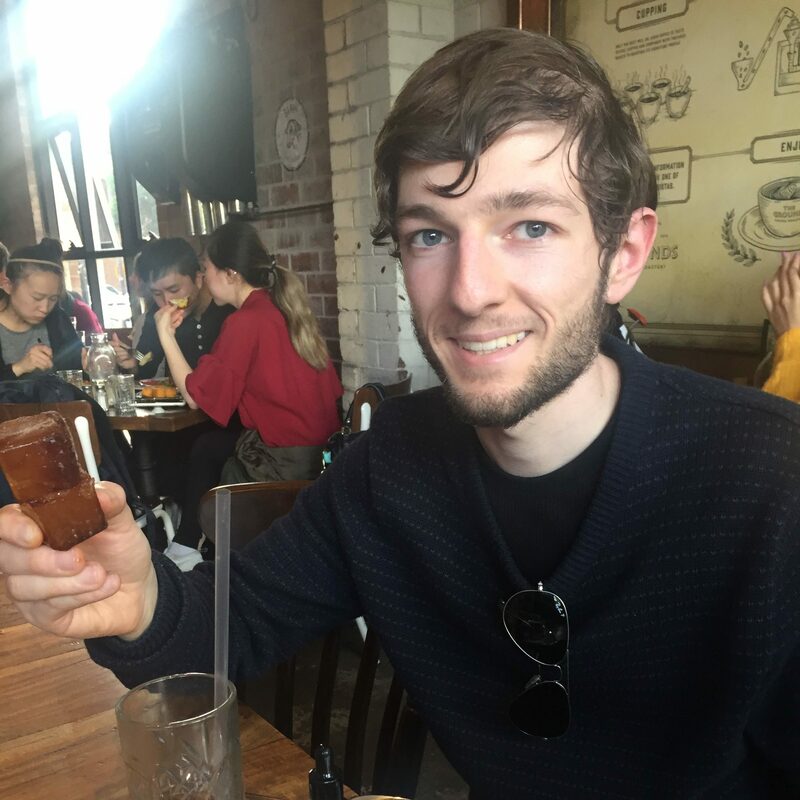 I spent my eighth diaversary listening to fellow Perth T1D Neil McLagan talk about his recent solo bike ride from Perth to Sydney with a few of my fellow Young Adult Diabetes Committee members. Apart from seeing Neil’s name and his cause (the Telethon Type 1 Diabetes Family Centre) pop up on social media a few times, I knew nothing about him. Admittedly, I just thought of him as ‘an athlete’ – something I would not even come close to qualifying as. As we introduced ourselves, it was incredible to hear how many similarities we actually shared. From being diagnosed at the same age, to finding connection with others online and feelings of not being in a great place for quite some time. But the one thing that resonated most with me was the significance of finally meeting another person with type 1 several years after diagnosis. Admittedly, meeting other people with diabetes is a daunting step, and something I would not have been willing to do all those years ago. But if I had to choose one thing that has been most beneficial for me in eight years of living with diabetes, it would have to be my peers. Twitter. Facebook. The OzDOC community. My fellow Aussie diabetes bloggers, who feel like distant family members every time I embrace them when we are brought together. The Young Adult Diabetes Committee and our thread of Facebook messages that are a goldmine of daily support and laughter. My peers, both near and far, remind me that I am not alone in this and are what lift me up in my daily self management efforts. As I listened to Neil recount his enthralling story of survival during his bike ride across Australia, I wasn’t even thinking about how he was managing his diabetes. Diabetes wasn’t the focus of his story, but rather something that just played along in the background. After eight years of life with type 1 diabetes, I’ve realised that my condition is not something that I need to feel overly conscious of or burdened by. Don’t get me wrong, managing diabetes is no easy feat. 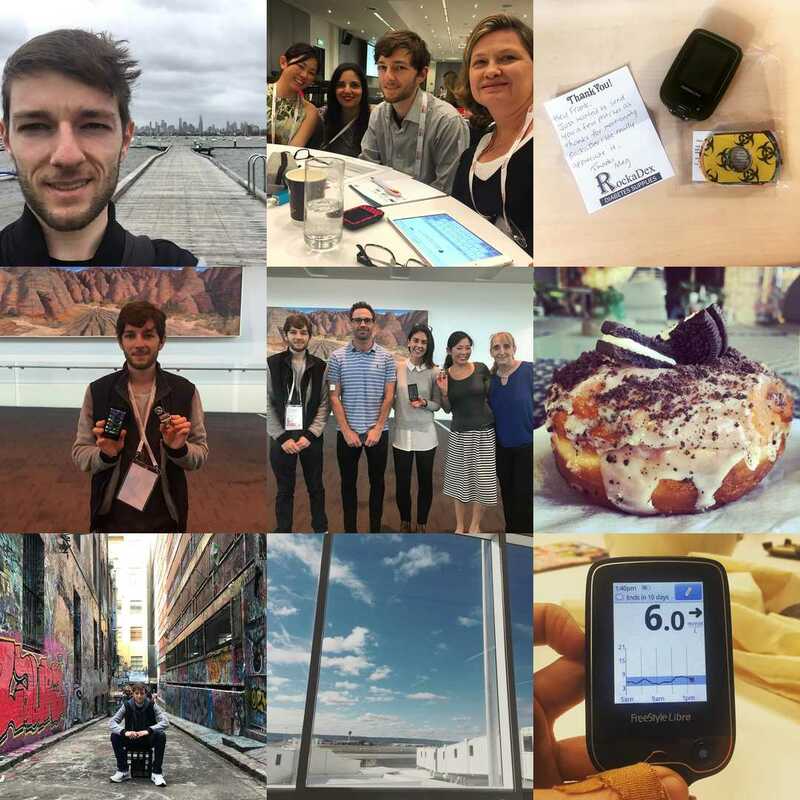 But like Neil’s epic journey, type 1 diabetes has simply become something that plays out alongside me as I go about living my life. You can check out more highlights from Neil’s journey on his Facebook page here.